Home :-) 11:11 – the meaning is? What's the meaning of 11:11? 11-11-11 is a date which reoccurs every 100 years (every 300 years for it to fall on a Friday), when written in a 2-digit year style. For various and often not-well-understood reasons, people often ascribe different kinds of significance to dates and numbers; for example on November 11, 2011 “11-11-11” showed an increase number of marriages taking place in different areas throughout the world, including the U.S. and across the Asian continent. Babies born on this date also received special media attention. 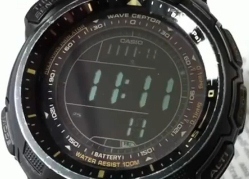 Some numerologists believe that events linked to the time 11:11 appear more often than can be explained by chance or coincidence. This belief is related to the concept of synchronicity. Synchronicity is the experience of two or more events that are apparently causally unrelated or unlikely to occur together by chance and that are observed to occur together in a meaningful manner. Some authors claim that seeing 11:11 on a clock is an auspicious sign. Others claim that 11:11 signals a spirit presence. The belief that the time 11:11 has mystical powers has been adopted by believers in New Age philosophies. 11:11; 11 is a double digit and is therefore considered a Master or Power Number in numerology. In Numerology 11 represents refinement of ideals, intuition, visionary, revelation, artistic/inventive genius, avant-garde, and fame. Eleven is a higher octave of the number two . Eleven carries psychic vibrations. It has equal balance of masculine and feminine properties. Because eleven contains many gifts such as a keen sense of sensitivity and psychic awareness. Eleven also has negative effects such as betrayal and treachery. Some people believe 11:11 can be a key to unlock the subconscious mind. 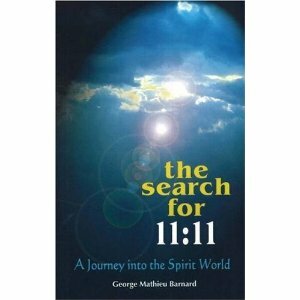 This book by George Barnard explains why people see 11s everywhere. If you are into numerology it will explain a few things. If you are having any unexplainable things happen to you on a regular basis, then this book should enlighten you. It cannot give you all the answers but can lead you into a direction to use in your own meditations. The book is story telling about a personal experience, and definitely not a research type type book on the subject. It’s good if you are into story telling, not very good if you want to research the subject. “This book is the first in a series of accounts that portray the cooperation possible between those of the Temporal Midway Realm and an ordinary mortal. These individuals constitute the 11:11 Emergency Platoon as it is functioning here on Earth. The particular series of episodes of human/celestial cooperation experienced by the author of this book is extraordinary, long lasting, frequently utilized, multifaceted, and intense—and greatly rewarding. Others can also achieve this kind of contact, though perhaps to a more limited degree. “Mathew,” who uses that name for convenience, communicated the above statement. As is the case with his many Seraphic Superiors, the use of numbers or codes is more common than names, as the former are more speedily communicated. Mathew’s code-name is 33-333. His presence is frequently made known through time-prompts at 3:33 am or pm precisely, in all time zones across the globe. Mathew is a Spirit Guide, a Planetary Helper who operates in what is called the Midway Realm; therefore, like his counterparts, he is often referred to as a Midwayer. This amazing being is on long-term but temporary loan to us. Numerous Planetary Helpers, or Celestial Volunteers, are presently on loan to our mortal races for the advancement, or upstepping, of spirituality on this Earth. We are told by Mathew that he is one of a great number of volunteers and new contacts of his kind. He was sent here by special request—his request to join the 11:11 Platoon. If you want to read a personal story then this book might be for you. Read the reviews, however before you rush out to buy this book. Everytime I look at the clock, it’s 11:11. Does this mean anything? Everytime I look at the time, in the morning and at night, it’s always 11:11. I know it’s one of those sayings that if you make a wish at 11:11, it will come true. This has been going on for many months now and almost everyday I see it. For example, when I’m watching TV or on the computer, something will force me to look at the time and it will ALWAYS be 11:11. Like today, when I woke up, the first thing I did was I look at the time and it was 11:11. This will also happen everywhere like at home, school, inside the car, other people’s houses, etc. This is so weird, I don’t know if it’s just a coincidence or if this “11:11 wish” really does mean something. I always make a wish whenever I see it but none of them have come true yet. What do you think? Why do people make the same wish at 11:11? I’ve been noticing on myspace that people are saying i make the same wish at 11:11…why do people do this? Do they mean the time, or date or what? I’m not a superstitious person. Well, I won’t admit to being one anyway. Maybe it would be more accurate to say that I’m a mildly superstitious person. While I don’t have to sit in a certain seat on an airplane to feel safe, or carry a rabbit’s foot for luck! I do abide by some other common rules. I’ll sometimes touch or knock on wood for fear of jinxing myself. I’ll toss a pinch of salt over my shoulder if I spill it. I try to never open an umbrella indoors if I can help it (why would you want to anyways?). I won’t walk under ladders. And on those rare occasions when I break a mirror, I’m calculating the seven-year statute of limitations before I’ve even started picking up the glass. But none of these things are done with any degree of seriousness. For me it is more of a “it couldn’t hurt to be safe” kind of feeling. However, one superstition that I am really beginning to believe in is something that seems to have proven itself to me time and again: the 11:11 wish. This simple superstition is that if you look at a clock and the time reads 11:11 then you should make a wish. I can’t remember where I first heard this. It was just one of those things that appeared in my consciousness after enough people mentioned it. Of course I initially dismissed it as irrational. But whenever I would catch the time at 11:11 I’d make a wish just for the fun of it. In the last couple of years I have had an uncanny number of 11:11 wishes come true. So while I am firmly a man of science, my faith in something entirely hokey just seems to grow. It is curious to me how often I randomly catch that particular time on the clock. I wonder if it only seems that way because the four similar digits make it easier to remember. I also seem to notice 8:09 quite a bit and that is significant for me because it was the time I was born. I’ve recently begun to make wishes on that and they seem to have a higher success rate than my old friend 11:11. I doubt anyone has ever done any legitimate study on wishes coming true. But I suspect it may reveal much about human psychology and the power of wishful thinking. I have read many accounts of people who have managed to “will” certain things to be, like the young boy with a brain tumor who every night imagined little fighter jets in his head, blasting away at his cancer until it was gone, only to find out that the tumor did indeed shrink and become virtually undetectable. There are no doubt many reasonable scientific explanations that could more plausibly prove how something like this was possible. Bit in terms of the internal realm of the human body, there is perhaps much we don’t know about the power of the mind over the body’s systems. Most of my 11:11 wishes are external. I’d like certain things to happen. I’d like particular problems to be resolved. In this area too, there is perhaps a hidden power in unconsciously setting goals and making things happen. It is probably holdover elements of the pagan tendencies of our ancestors that make us think that there is some kind of mystical force behind certain events. Our brains just feel comfortable believing it. Having the benefit of no scientific study, I can say only that much of what I have learned about the metrics of the 11:11 wish principle is based on anecdotal evidence. But I believe the following factors to have a positive influence on the outcome of such wishes: First, seeing 11:11 must be spontaneous. One cannot see 11:08 on the clock and then wait for 11:11 to appear. Seeing it on a digital clock seems to have more power than an analog. It works with either a.m. Or p.m. But the latter seems to have a bit more strength. The wish must be made right away and can be either verbalized or simply a part of one’s inner monologue. If the wish is made on a room in which multiple clocks are in view, one clock must be made the focus of your wish. What you wish for must not only be fairly specific but within the realm of 11:11 possibility. You cannot think “I wish for world peace” and expect it to happen. However, you might wish to receive a financial windfall within the next two months and then have it happen. Of course, once you spontaneously look at your digital clock and see it is on 11:11 you must immediately look away while you are making your wish. If you look back at it, or any other clock, before it has turned to 11:12 then the wish is blown. Likewise, after looking away and making your wish you cannot count down the seconds. You must wait for what you determine to be a reasonable amount of time before looking back at the same clock to see the time has changed. Compound wishes tend to be a bit problematic. If you were to make a wish to “Meet a beautiful, smart, redhead who is from Michigan and has green eyes and plays the violin” you might get some or one of those things. My pseudo research in this area continues. I could itemize all of the 11:11 wishes that have come true in the past two years. But in the same way that ill-matched pylon crystals on the 70’s TV show “Land of the Lost” could have negative consequences if matched in the wrong combination, I fear that to reveal too much might skew the system. I’m already probably giving away too much. I’m sure I’ve already jinxed myself. But I’m not superstitious. I promise. Really. If I wish at 11:11, is that putting my faith is something other than God? What if I wish at 11:11 more often than I pray (which is never)? Every time I wish at 11:11, it comes true. But when I used to pray….nothing. What’s up with that? Does that mean I am breaking a commandment? Technically yes, although I couldn’t say if it’s a sin or not. I wouldn’t do it for two reasons: 1) If it’s not from God and it works, supernatural activity that is not of God comes from the devil. 2) Or, it doesn’t really work, it just seems to because your wishes are vague and can easily come true by chance. What does “I wished for you at 11:11” mean? There are alot of myspace page graphics that say I wished for you at 11:11. What’s the point of that..? Does it have any significance..? The number 11 itself is considered a Master Number in Numerology. It is known for strong sensitivity and empathic ability along with a high level of intuitive perception. It doesn’t hurt to wish something when seeing this however, I really think experiencing the phenomenon, we are here to inspire others and we do this by offering the information and messages that their guides, higher self, and inner voice provides. We are here to uplift humanity, and that’s a very difficult role to fulfill, but one which brings with it a great deal of both external and internal reward. Basically, it is as if a reminder or a way for you to notice that you are on the right path, or that’s how I took it over these many years. For me personally, the more I noticed it (11, or 11:11), the better my life way turning out. Some sources say that when it happens often, there is a spiritual being, present. It is then that you must realize why you are noticing the time and number, and what is being laid out in your life., and make decisions accordingly. I take the coincidences as clues by the spirit world, or by my spiritual guiders. I would say continue on that path of what’s going on in your life, and coincidences aren’t usually coincidences at all. But again, it doesn’t hurt to wish something at that time. If I saw a wishing stars at 11:11pm, does that mean my wishes will come true for sure? Granted the shooting stars was a comet coming down, but I want my wish to come true so bad. Yeah dude, of course. Were you crossing your fingers? Then you would have triple protection. Whats the meaning of 11:11 p.m.? Can the time 11:11 have any significate meaning, i’ve heard of the wishing but every time that i’ve ever seen that time i’ve gotten a bad feeling. Is there any other meanings or explinations that you may know of? I saw 11:11 in my dream..? Last night I had a dream that I was in a car, and there were two clocks. One read 11:11 and the other 1:11, I then made a wish, and i looked at the clocks again, and the one that said 1:11 was now 1:10, & I don’t think the 11:11 one was still there, & then I woke up. What could this mean? This is the first time I’ve seen these #’s in my dream. I know what 11:11, and 1:11 mean, I just wana know why I saw them in myy dream, and after I made my wish, one of the clocks disappeared, and the other changed..? The American’s have had 9:11, the UK had 7:11 so the next staging of the Masons and Illuminati attack on humanity is 11:11 or 1:11? Well I hope you’re ready for their false flag attack to gain even more power than they have. Wishing won’t make them stop. You have to take action. when they say that does it mean 11:11 in the morning or 11:11 at night ? If you use a 24 hour clock it would be in the morning as night will be 23:11.